Read and discuss The Invisible String by Patrice Karst. This is a wonderful story for children coping with anxiety, loss, or grief. This organizer can be used after reading. 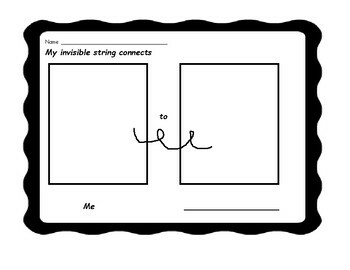 The children can draw themselves and who they would connect to with their invisible string.